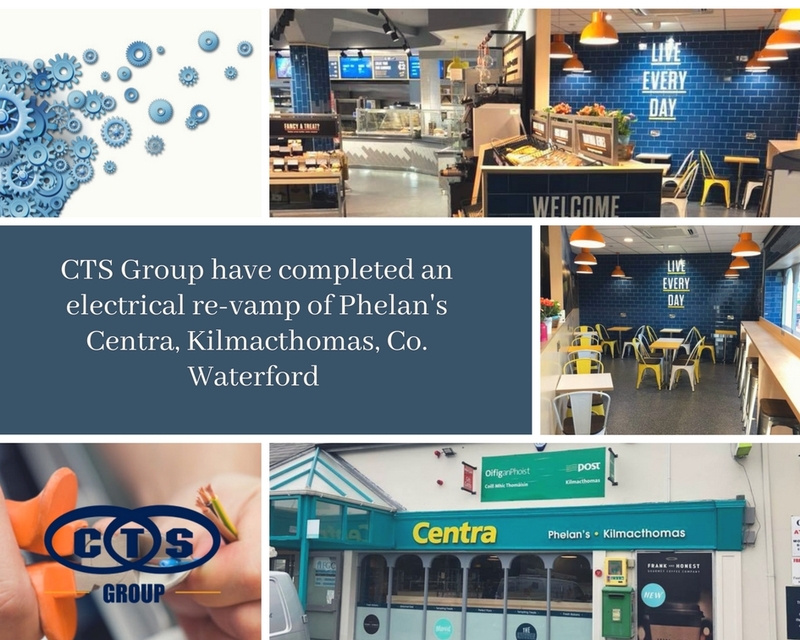 CTS Group were delighted to be a part of Phelan’s Centra, Kilmacthomas recent revamp. CTS Group were tasked with the complete electrical fit out and installation of a new distribution board, LED lighting, electrical and data wiring to Registers & Kiosk stations. Also installed was a new fire alarm for the relocated Deli and Coffee dock seating area. All this work was done while the shop was kept opened with little or no inconvenience to customers. We would like to wish Phelan’s Centra the best of luck on their official relaunch tomorrow Saturday 5th May. ❮ Back to all news.